2007 Novurania 31 Chase The Novurania Chase series is both a world-class yacht tender and high-performance offshore sport boat. 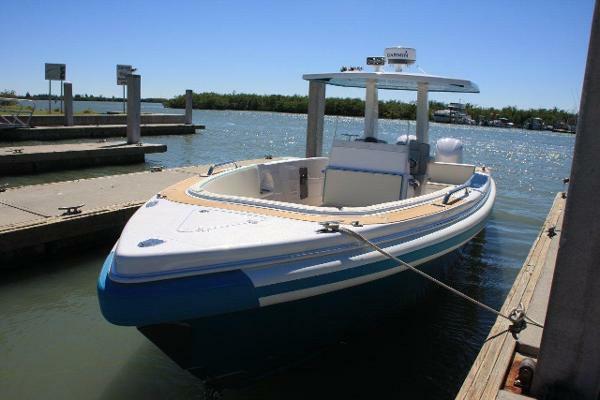 The stylish design is based on a deep V performance hull providing a smooth and stable ride in choppy or rough offshore waters. Powered by twin Yamaha 250hp 4-strokes with 1146 hours. Recently services and turn key! See list of Features. Available to be shown by appointment! 2011 Novurania 31 Chase Manufacturer's Provided Description Currently in use aboard luxury super and mega yachts as primary tenders, this 2011 Novurania Chase 31 is a both a world-class yacht tender and high-performance offshore sport boat. 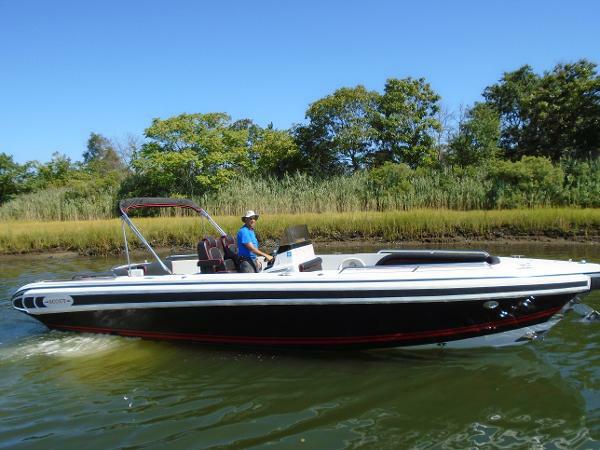 The stylish design is based on a deep V performance hull, providing a smooth, stable ride in choppy or rough offshore waters. 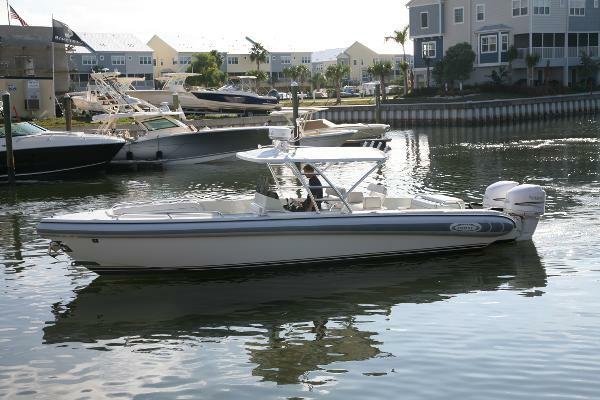 Powered with twin Yamaha, 250 hp outboards, the Chase 31 boasts a well-balanced mixture of performance, reliability, and fuel economy. As a world-class leader in luxury yacht tenders, Novurania offers a variety of custom modifications to truly personalize this vessel to your tastes and requirements. Specific features include: Bow thruster Anchor winch with remote control and integrated stainless steel anchor T-top hardtop with integrated spreader lights and speaker & electronic box Carbon fiber panels Owners plush helm seats Head Package for large console freshwater shower, folding stainless steel sink, head & teak grate floor Power steering Garmin GPSmap 5212 Garmin GHS 10 VHF Yacht quality stainless steel 316 hardware throughout: cleats , recessed railings , fender holders, Chase 31 cup holders Removable stainless steel boarding rail Flip up bow light, pull up stern light, engine compartment LED light and courtesy blue LED blue deck lights throughout deck Bow anchor locker compartment Stereo system FUSION with internal IPOD docking station and three FUSION speakers Fresh water system with washdown Large stainless bow tow eye with port & starboard tow eyes for three point tow system Large stainless steel removable platform rails Spotlight with remote control Stainless dive ladder *more photos coming soon but contact Udo to schedule a showing now! 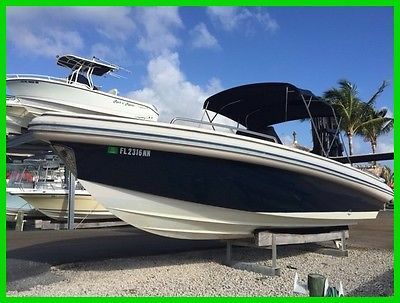 2011 Novurania 31 Chase 2011Novurania 31 Chase with twin 250 hp Yamaha Outboards, Garmin Radar, Garmin 5212 GPS, VHF 300 AIS, Fusion IP-600 Stereo, Fiberglass T-Top, Hypalon Rub Rail, Bow Thruster, Porcelain Head, Tilt Wheel, S/S Ski Pylon, S/S Tow Hook, S/S Props, Remote Spot, 226 gal. Fuel Tank, Fresh Water Washdown - 20 gal. Water tank.Disclaimer: Specifications believed to be true, but not guaranteed; owner should inspect prior to purchase. This vessel is offered subject to prior sale, price change, withdrawal without notice, and trailer is not included. 2007 Novurania 31 Chase Wow, what a gorgeous 31 Chase ! 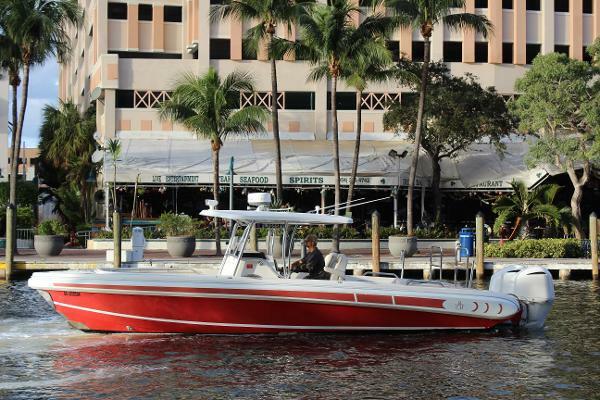 Features include: Brand new high-end upholstery, Garmin chart plotter, full detail and wax, teak decks, dual helm chairs, JL audio speakers with subwoofer, stainless through hull anchor, lifting rings on the deck, forward seating, and more. Chase 31s do not last long on the market. 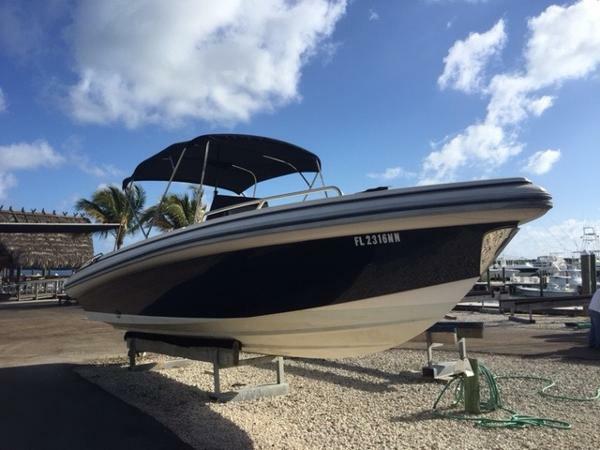 We have priced this one lower than any other to sell it quickly even though it looks better than all the rest... Plus it has super low hours and is in turn-key condition. 2007 Novurania Chase 31 Tender Wow, what a gorgeous 31 Chase ! 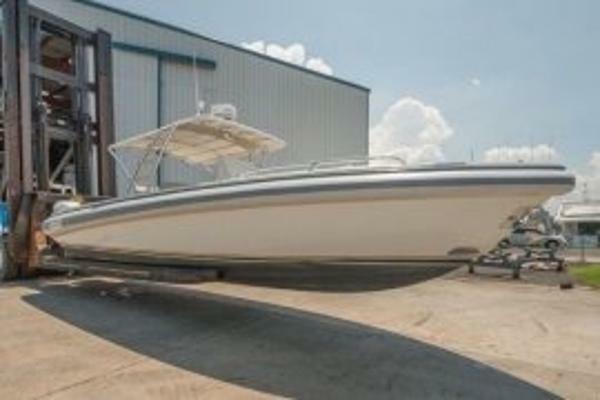 Features include: Brand new high-end upholstery, New Bimini Top, Brand new twin Raymarine Displays, teak decks, dual helm chairs, JL audio speakers with subwoofer, stainless through hull anchor with windlass system, lifting rings on the deck, forward seating, rear bench seating, and more. Chase 31s do not last long on the market. We have priced this one lower than any other to sell it quickly even though it looks better than all the rest... Plus it has super low hours and is in turn-key condition. 2009 Novurania Chase NOVURANIAAs the leading manufacturer of luxury yacht tenders, innovation is apparent in this Chase 31. 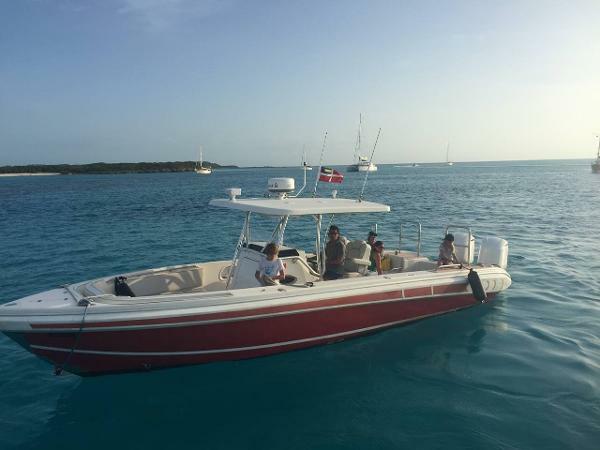 Our in-house engineers, have equipped this yacht tender with the most advanced hardware and software applications, and continues to based on the needs of their direct clientele. Leading industry through innovation has always been paramount at NOVURANIA. this particular boat is powered by a single D-4 Volvo Deisel engine with Duo prop. She will cruise all day in the mid 30's with a top end of 42. She is equiped with Bimini Top, custom hull color black, under water lights 2 amidship and 2 at transom, wheel & panel carbon fiber w/black leather, Teak deck and swim platform, oil transfer system, 3rd battery w/selector switch, premium stereo/CD package, Garmin5212C chart plotter, Ray Marine 240 VHF with external speaker, Bow Thruster, and Windlass anchor system. 2007 Novurania Chase 31 Tender Chris Craft Wow, what a gorgeous 31 Chase ! Features include: Brand new high-end upholstery, New Bimini Top, Brand new twin Raymarine Displays, teak decks, dual helm chairs, JL audio speakers with subwoofer, stainless through hull anchor with windlass system, lifting rings on the deck, forward seating, rear bench seating, and more. Chase 31s do not last long on the market. We have priced this one lower than any other to sell it quickly even though it looks better than all the rest... Plus it has super low hours and is in turn-key condition. 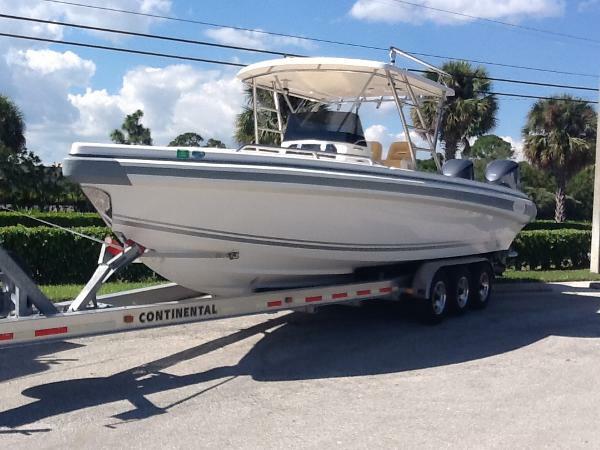 2009 Novurania Chase 31 ft Brand New Motor Nice-well kept. Does not include trailer Twin 350 Yamaha motors turn key ready to go !! Give us a call today motivated seller.